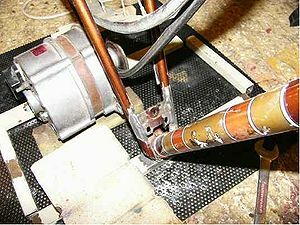 Problem: Lack of wind, water or fuel to power a generator. 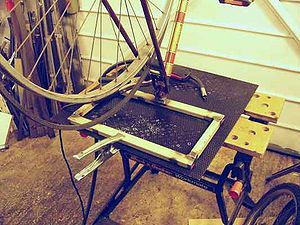 Step 1: Connect the bicycle rear with the chair. 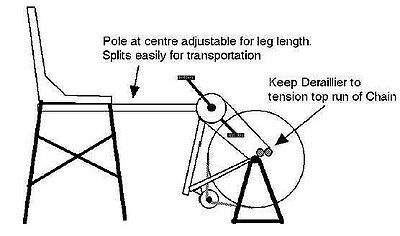 Use an adjustable pole if you want to adjust the pedal powered generator to different leg length. Use a socket to provide more portability. 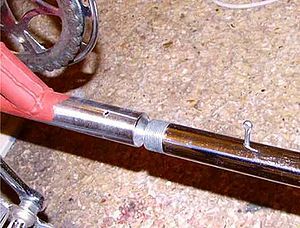 Do not weld directly onto the crank housing. 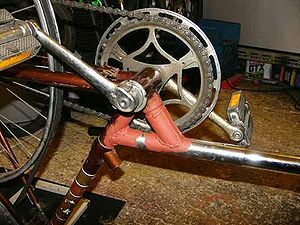 The final crank position should be a couple of inches above the seat. Step 2: The base for the generator. 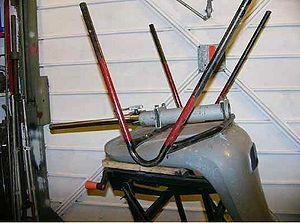 The generator will be placed on the bottom in the front of the wheel and its base can be made of office chair parts. The wheel shown in the picture above is a 26 inch one. To fit the generator between the wheel and the ground a A78 (78 inch circumference) belt was used. 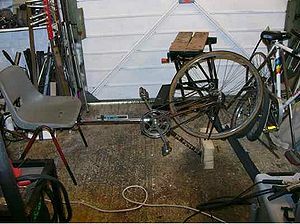 Now everything is ready to convert mechanical energy to electrical energy. This page was last edited on 25 April 2017, at 19:48.